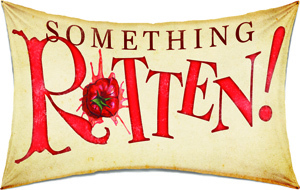 Direct from Broadway, SOMETHING ROTTEN! is a “big, fat hit!” (New York Post). 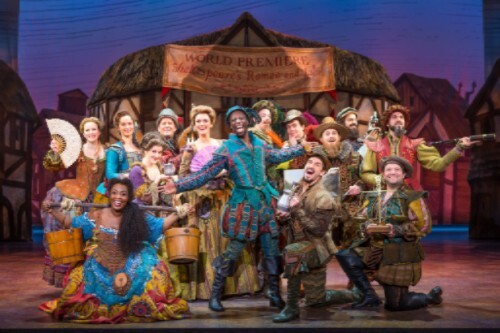 Set in the ‘90s—the 1590s—this hilarious smash tells the story of Nick and Nigel Bottom (Tony® nominee Rob McClure and Broadway’s Josh Grisetti), two brothers who are desperate to write their own hit play while the "rock star" Shakespeare (Tony® nominee Adam Pascal) keeps getting all the hits. When a local soothsayer foretells that the future of theatre involves singing, dancing and acting at the same time, Nick and Nigel set out to write the world’s very first MUSICAL! Shakespeare?! Have No Fear! Join Chesapeake Shakespeare Company’s fearless leader and Founding Artistic Director Ian Gallanar after the show on Wednesday, April 19, as he decodes the many references to the enduring works of the innovative and funny William Shakespeare. Please relax in your seats before being directed to the chat back. *Offer valid on Tues, Wed, Thursday, and Friday evenings in select price levels. Must use code CSC to receive discount. Offer not valid on previously purchased tickets. Due to the nature of live entertainment; dates, times, performers, and prices are subject to change. All patrons, regardless of age, must have a ticket. No exchanges or refunds.